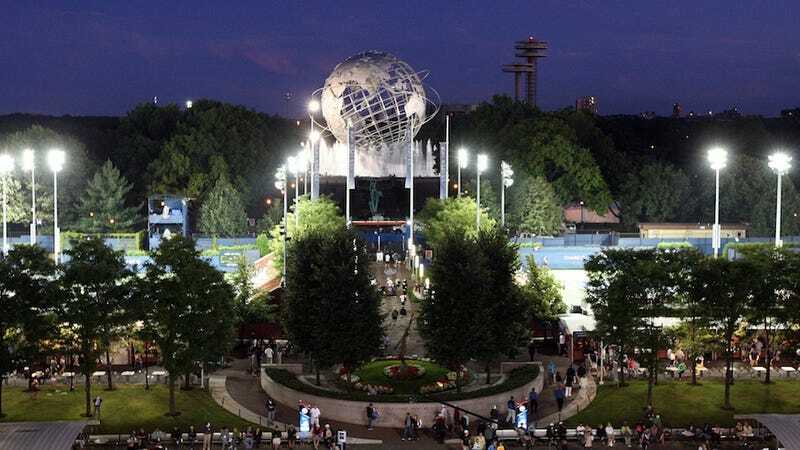 The New York Post reports today that the city is on the verge of approving a deal for a $300 million stadium that would be little more than a corner kick from CitiField and Arthur Ashe Stadium in Flushing Meadows Corona Park. And who exactly is funding this stadium? Not taxpayers, thank goodness, reports the Post. It'll be paid for by whoever owns the team. BusinessWeek said a variety of owners are being considered but a source familiar with the deal told me that a really rich dude from the UAE is in the lead. "The guy from the Emirates is lobbying the city for all these crazy benefits and tax breaks," said my source, who alas didn't have a name for me. And how would a team in Queens fare? The Red Bulls have their new stadium in Harrison, N.J., a city right across the river from Newark, and attendance is so-so. A Queens team wouldn't really be an attendance rival since the two stadiums would be separated by 23 miles and at least a 90-minute commute on the train. They really would be serving different audiences.